Join Verb Ballets for family fun matinee of Peter and the Wolf. The story ballet choreographed by Pamela Pribisco is a captivating 30-minute set to the well know classical music of Sergei Prokofiev. In 1936, Prokofiev composed Peter and the Wolf to introduce children to the different instruments of the orchestra. Verb Ballets performs the story of Prokofiev’sPeter and the Wolfas told through dance. The ballet introduces the plot and colorful characters through expressive movements to share the wisdomof courage. 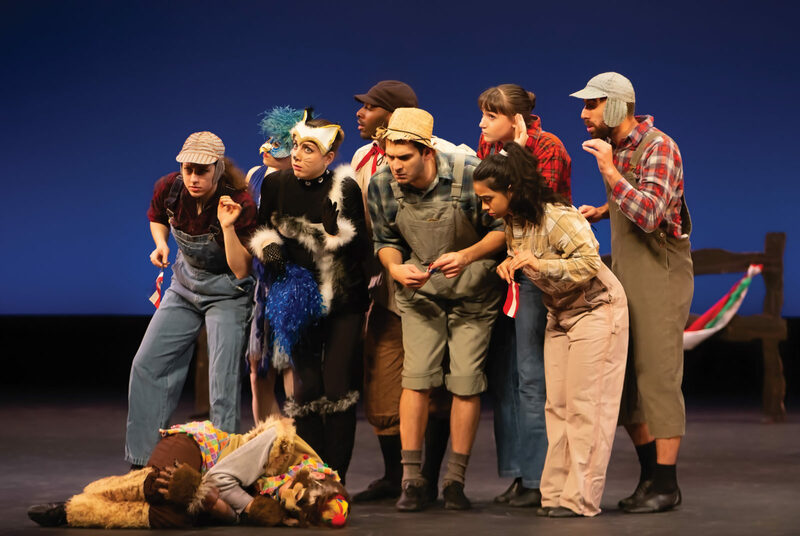 Students experience storytelling through the interaction of narrative, music and movement, and gain understanding of how character and plot are communicated across multiple art forms. This program is FREE and open to the public. Seating is general admission. Free ticket reservation processed through EventBrite.